Describe in detail the head type and hardness for each mallet and the conception behind your choice. See the instructions below to fill correctly ! Fill and replace this text with a name, word or even a phrase (not longer then 26 letters) for the handle engraving ! 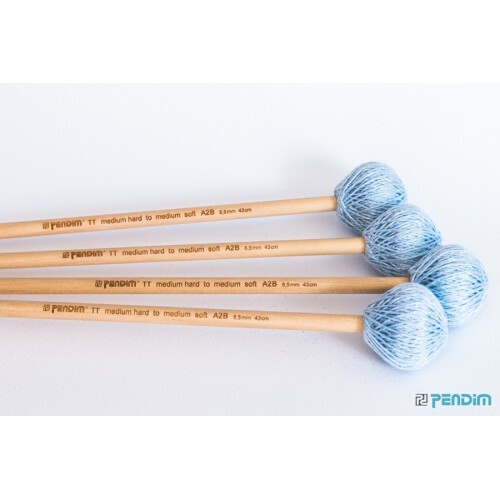 Pendim provides the rare option for musicians to choose every parameter in the mallets they order. The combination of the various options that you can choose from will provide you with mallets fitting all of your musical desires. Model 2 - is a standart marimba head with very good balance. It is also used for heavy vibraphone mallets. Model 3 - was originaly designed as a large xylophone head. When wrapped up in yarn it forms a beutifull bullet like form. It is also very good for dual tone purposes and the round form keeps the porous material from changing too much the overall form of the head. Model 4 - is the largest heaviest marimba head we offer it is mostly preferred with thicker handles. Many musicians used it for heavy and slow pieces but they are some, that like to play all type of pieces with heavy mallets. If you have strong hand mussles and you like heavy mallets this is the head you are looking for. Absolute 2 - is the absolute middle between model 4 and model 2. it is not as heavy as model 4 and is not a light as model 2. It is very preffered by modern musicians. After you choose your head type and hardness you are asked to explain the conception behind your choice: What sound are you looking for? What music pieces do you plan to use the mallets for? Everything that you think can help us understand you better and do our job correctly. We advice all new clients to get more familiar with our products and choose carefully the parameters before they order! Handle Egravement - Write in "" whatever you want to be written on your handles (maximum 26 letters). - Rattan's longest handle length is 42 centimeters if you select an longerer option like 44cm you will still receive the longest possible - 42 cm ! 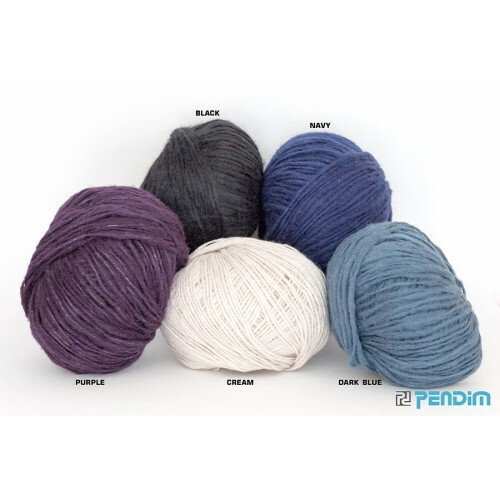 - Check the other pictures for yarn colours ! More colours will be updated soon ! - This is a custom order so it is possible to take between 2-7 working days before the mallets are ready for shippment.